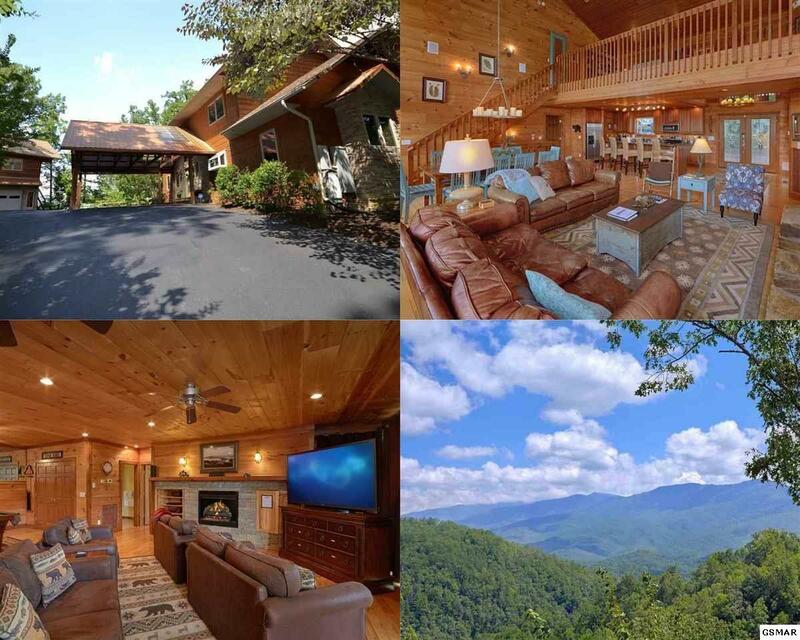 Spectacular, private, gated estate in the heart of Pittman Center on over 5 acres offering spectacular river, forest and mountain views. 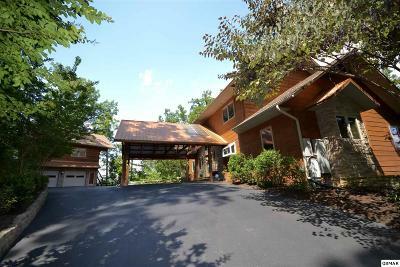 Features such as the 2 car detached garage with guesthouse, 2 car porte-cochere, level parking, 6 bedrooms, 5.5 baths, loft, game/theatre room insures there are plenty of spaces for friends and family. 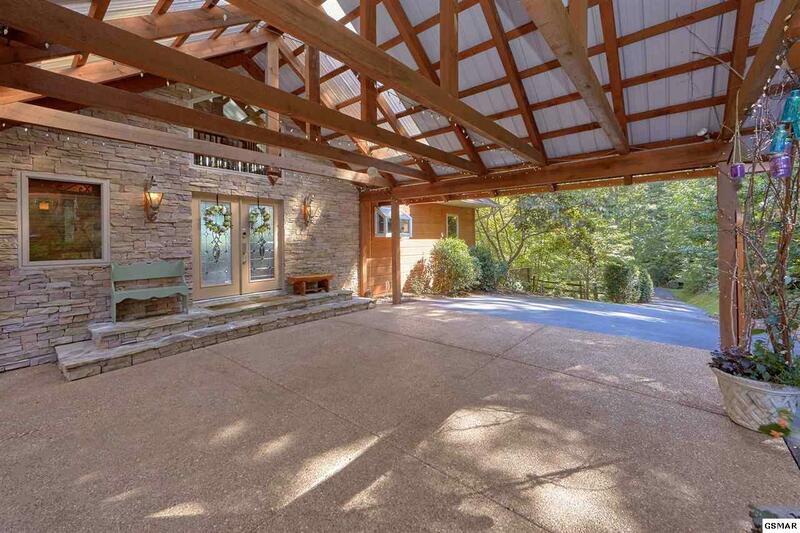 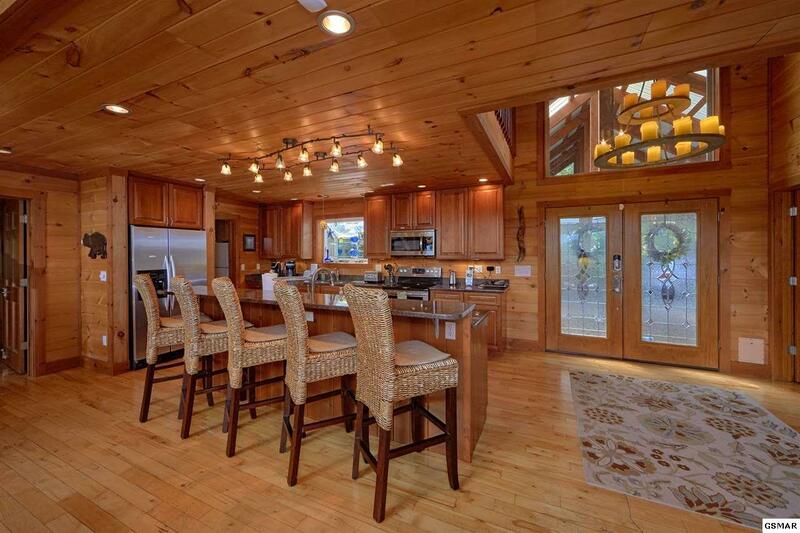 Big, open great room with soaring ceilings featuring a wall of glass is perfect for entertaining large groups. The open kitchen is boasts a long bar, granite counter tops, stainless steel appliances and a huge pantry with additional refrigerator and utility sink. 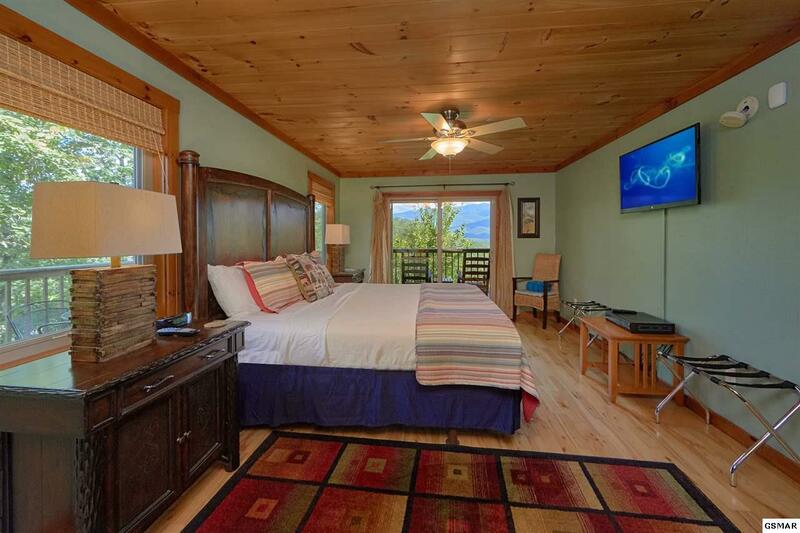 The master bedroom upstairs offers lots of privacy, balcony with fantastic view, huge walk in closet, and a unique custom walk in shower with its own balcony. 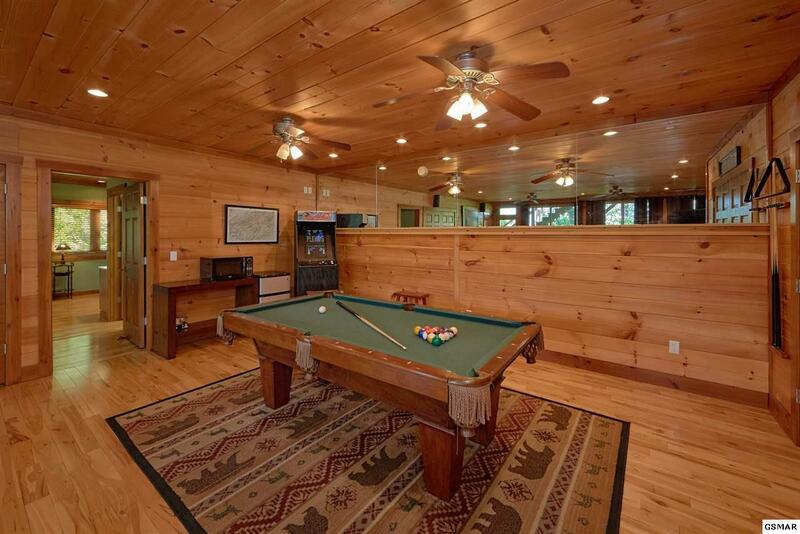 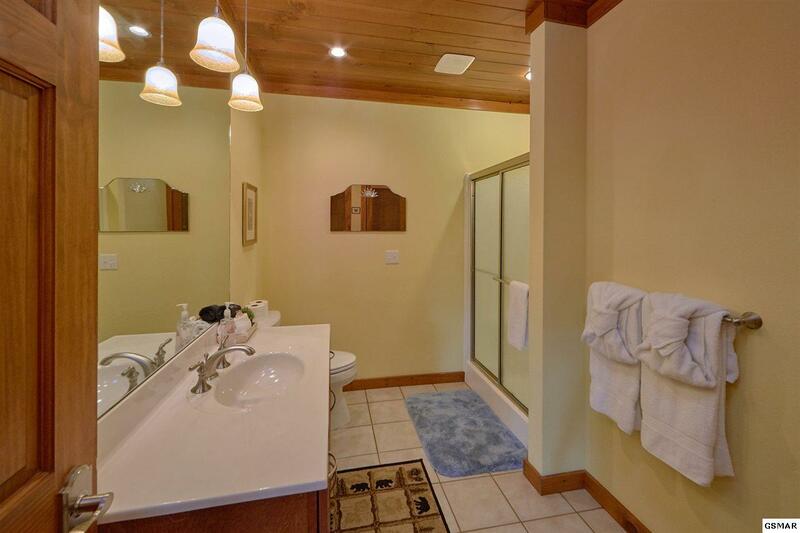 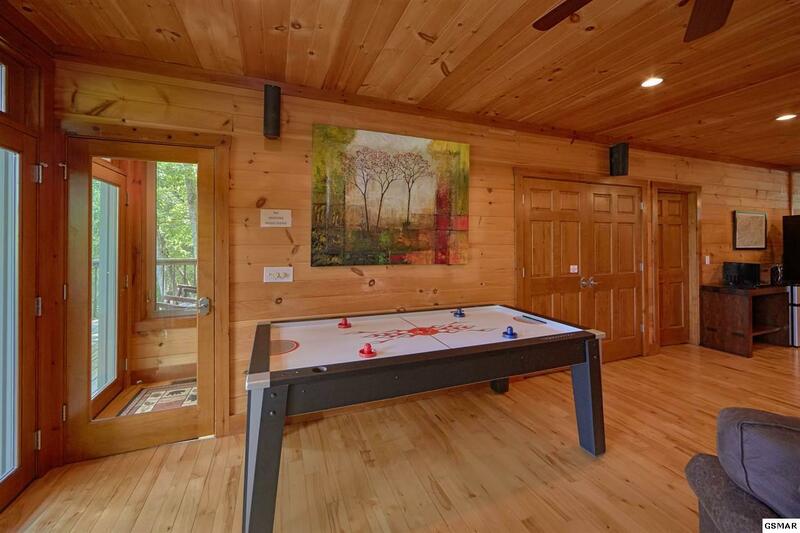 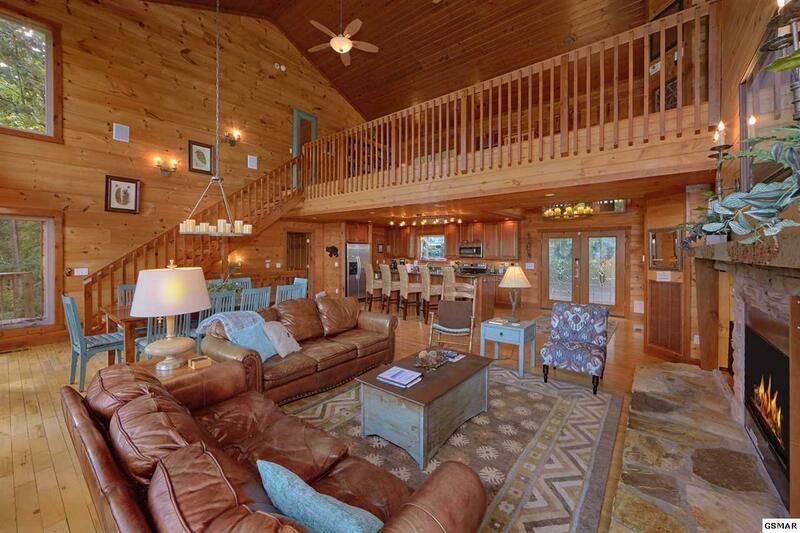 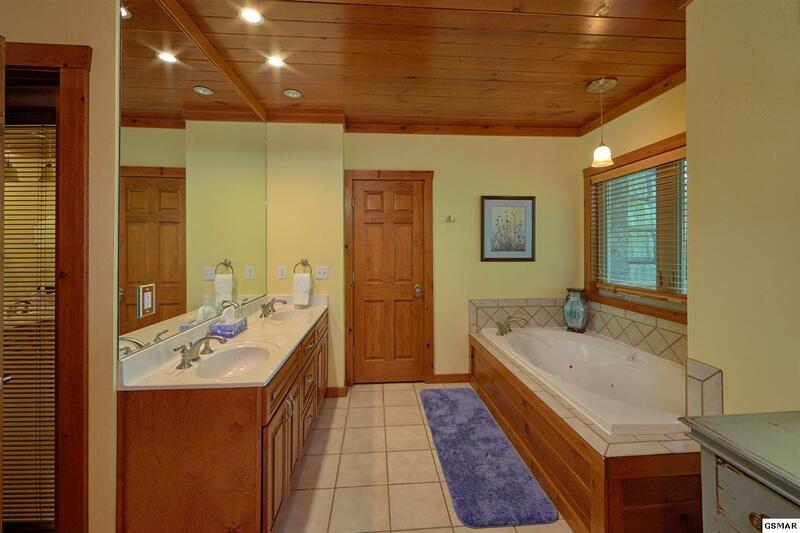 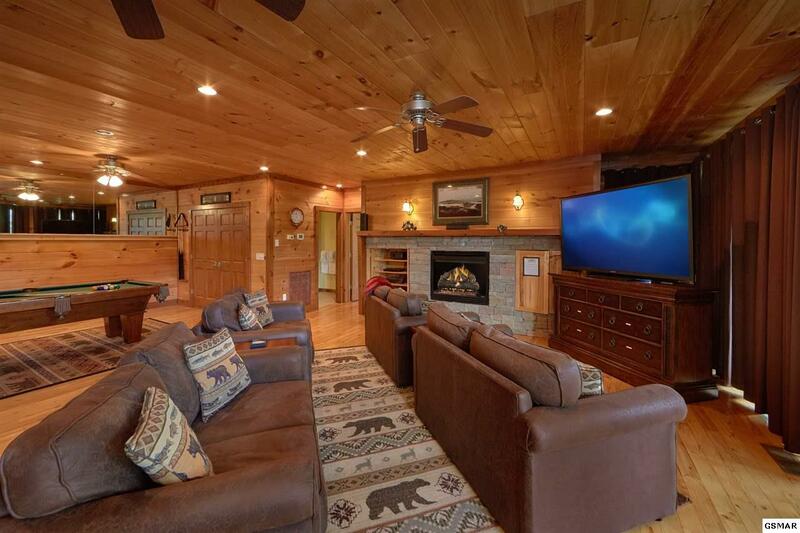 The lower level features a massive game/theatre room, two bedroom suites and another deck. 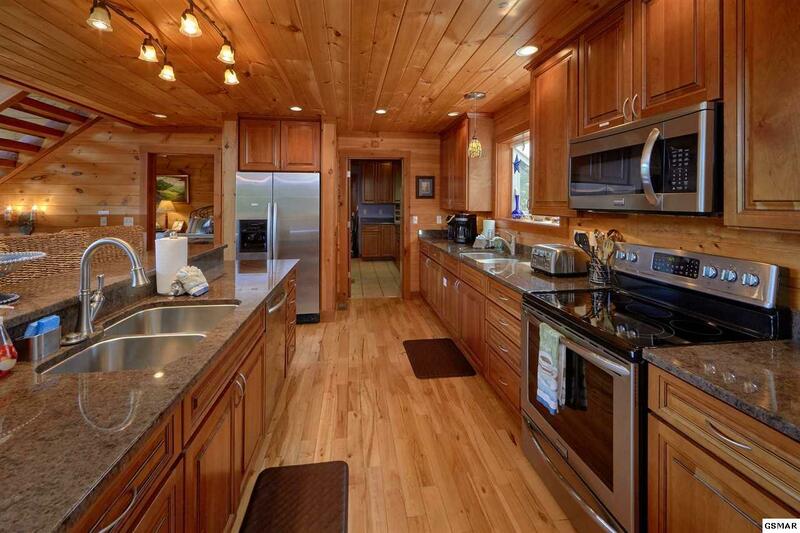 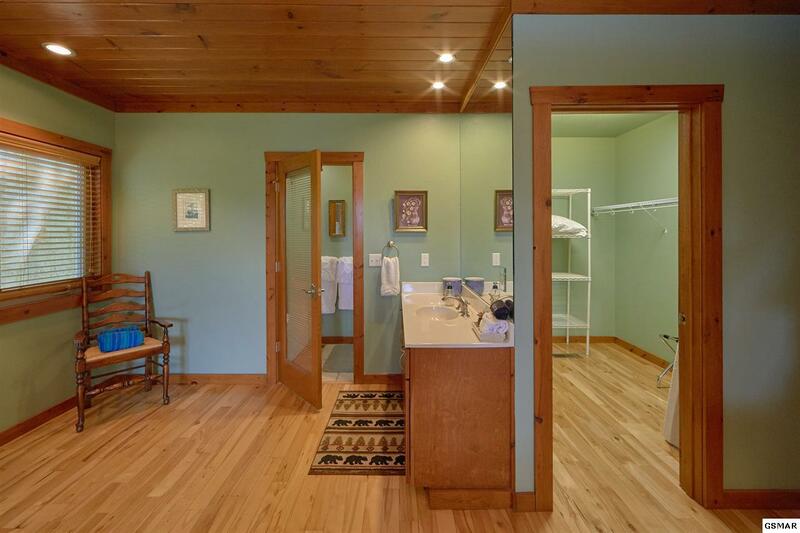 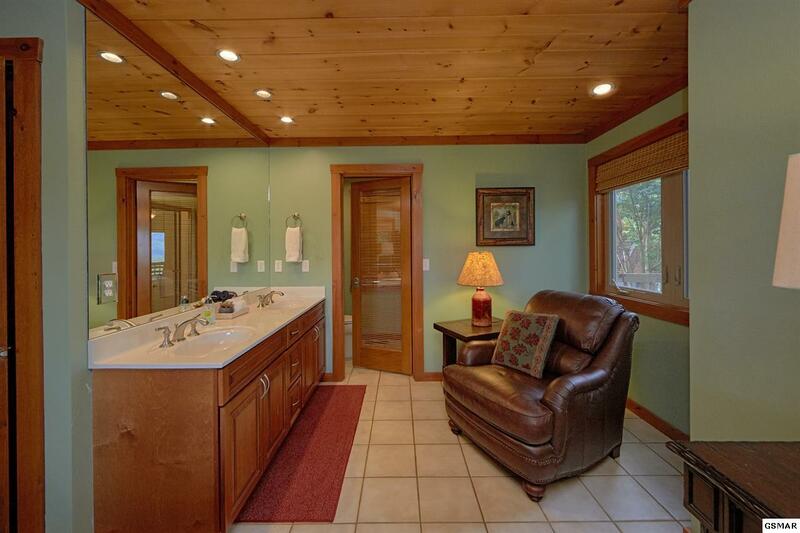 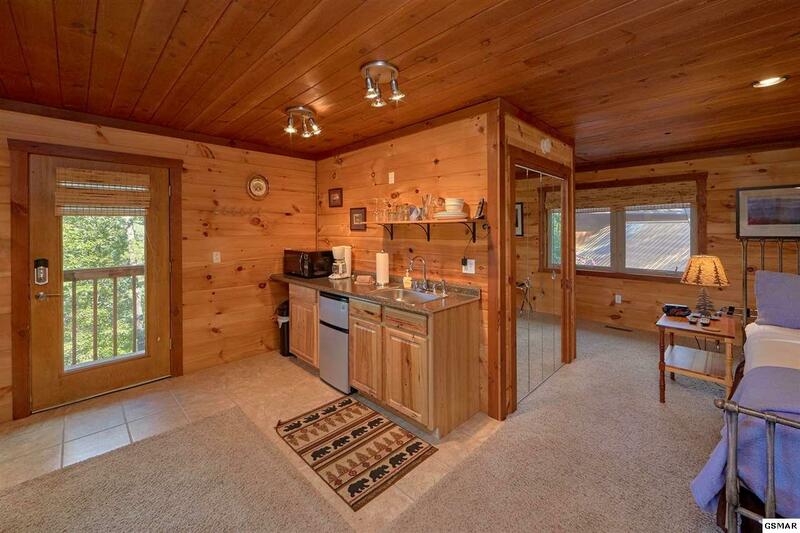 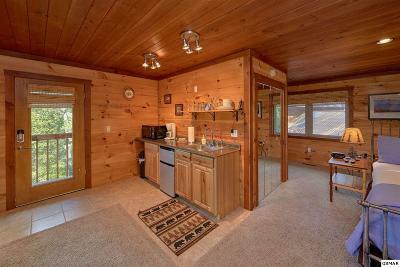 There is an attached 2 car garage with a 24x24 guest suite above. 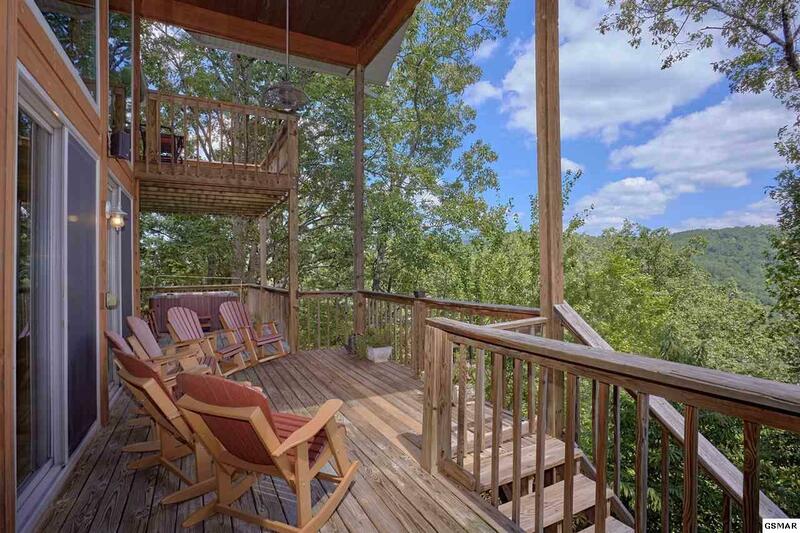 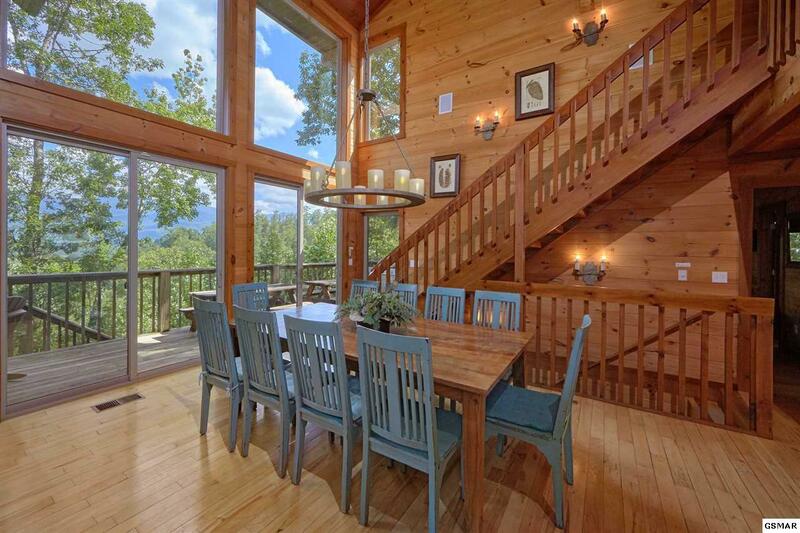 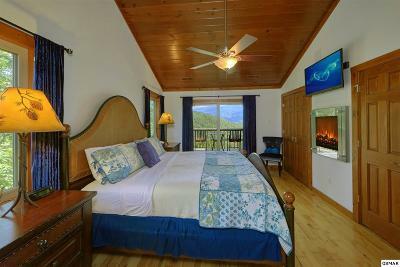 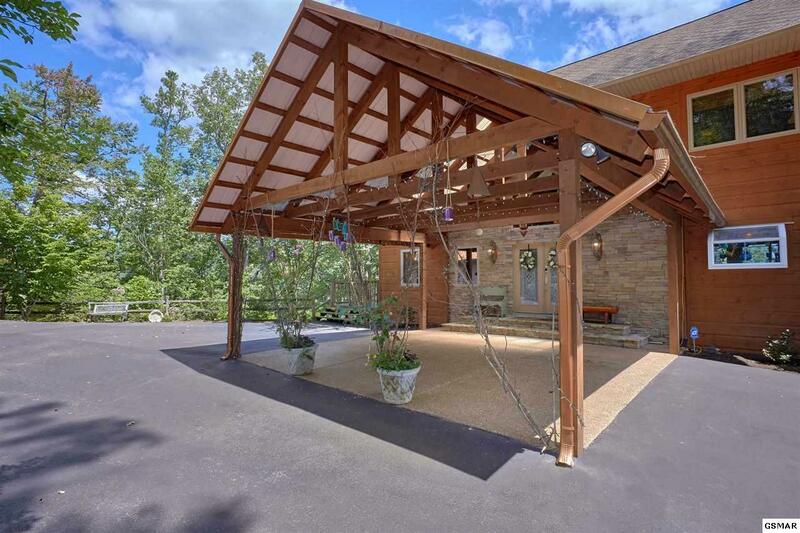 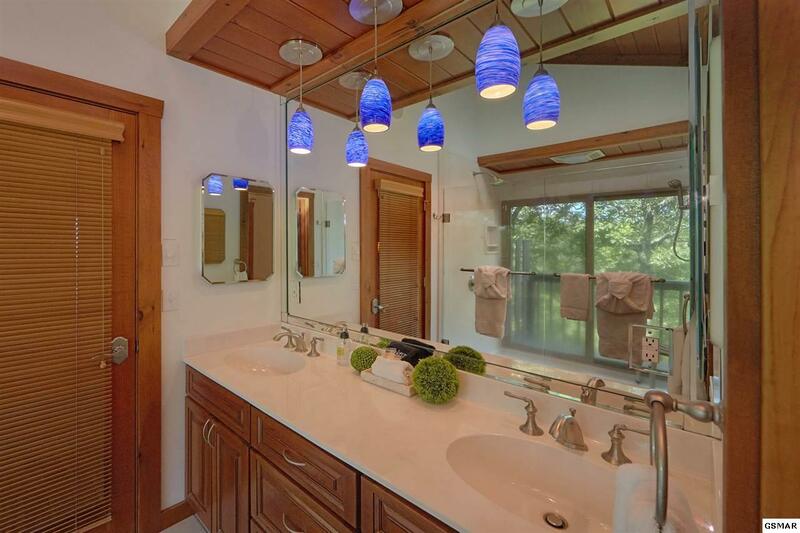 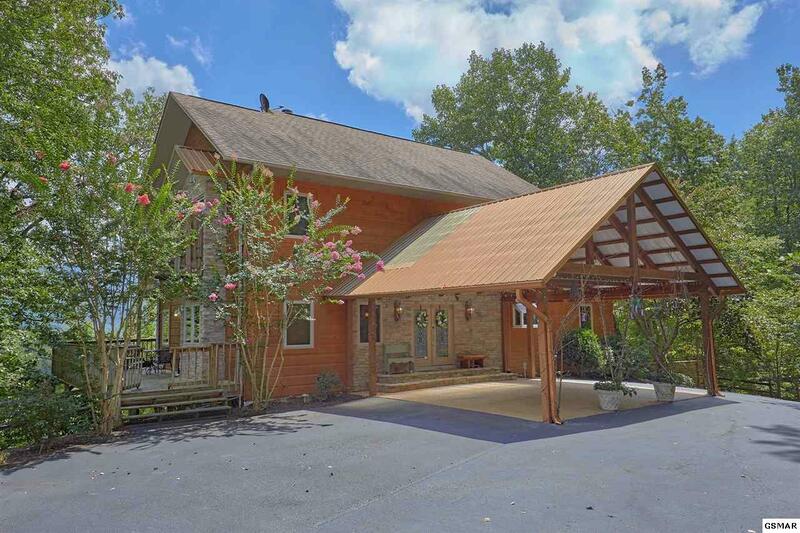 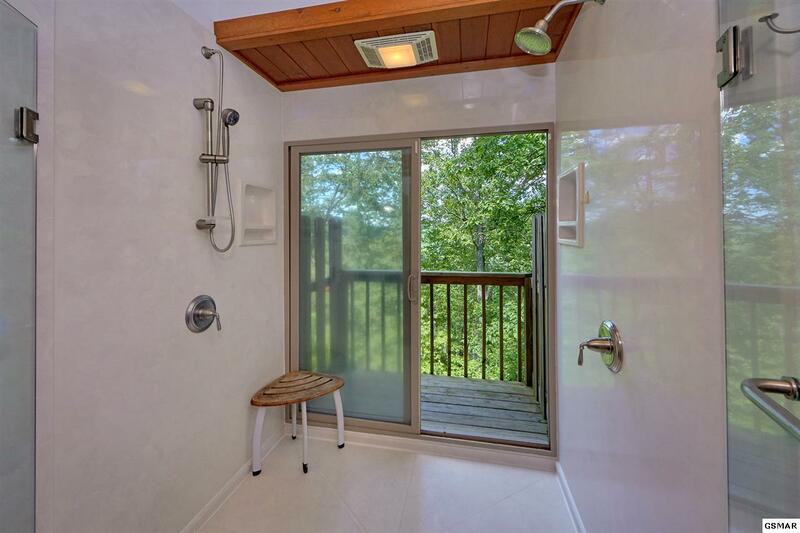 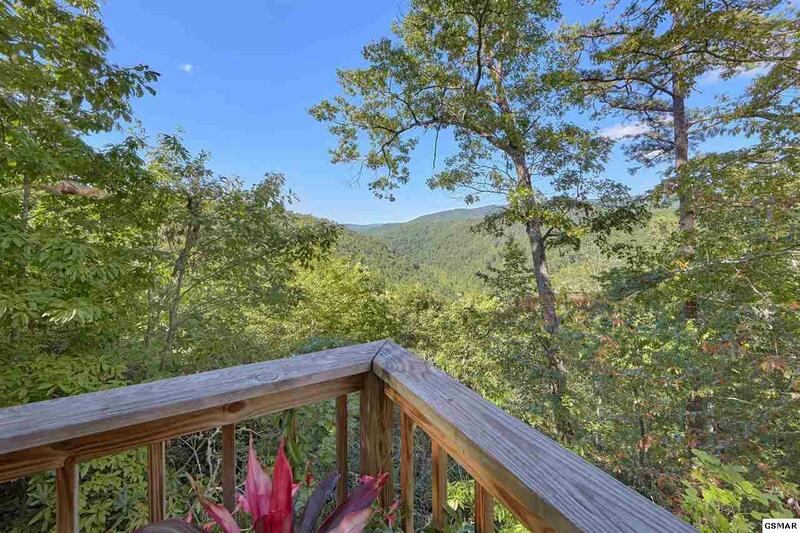 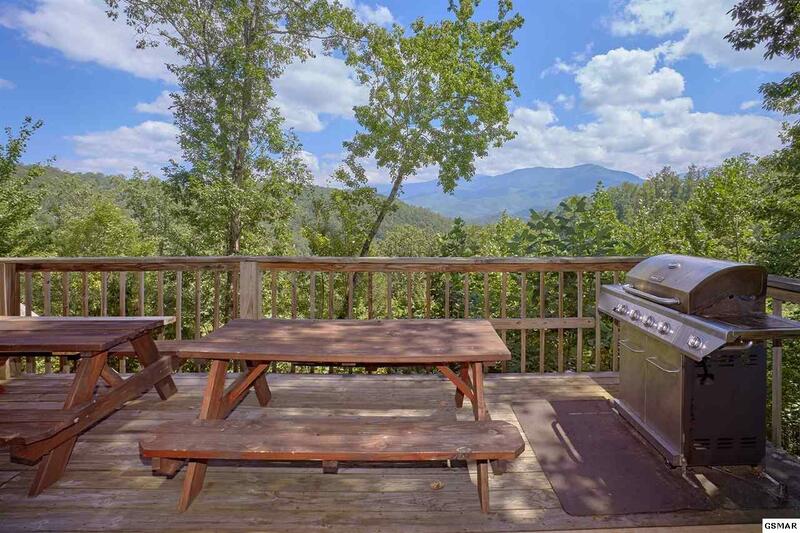 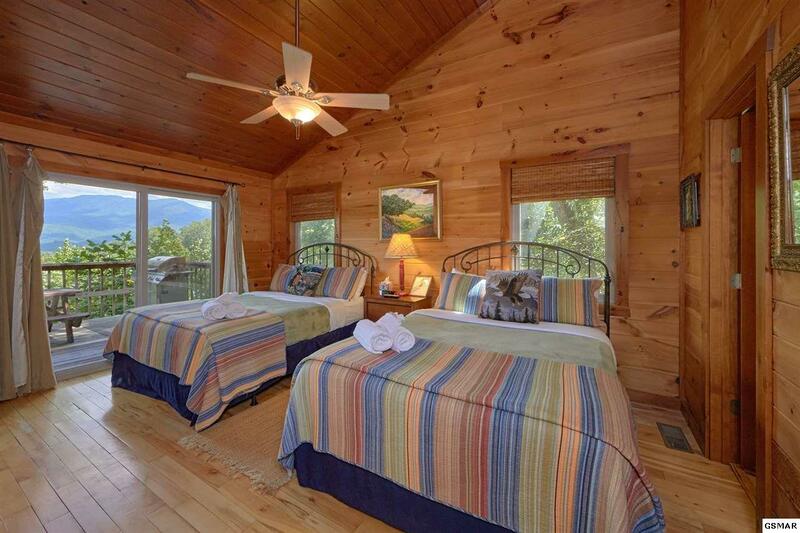 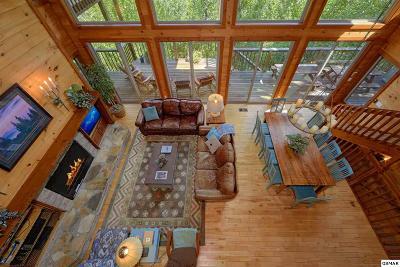 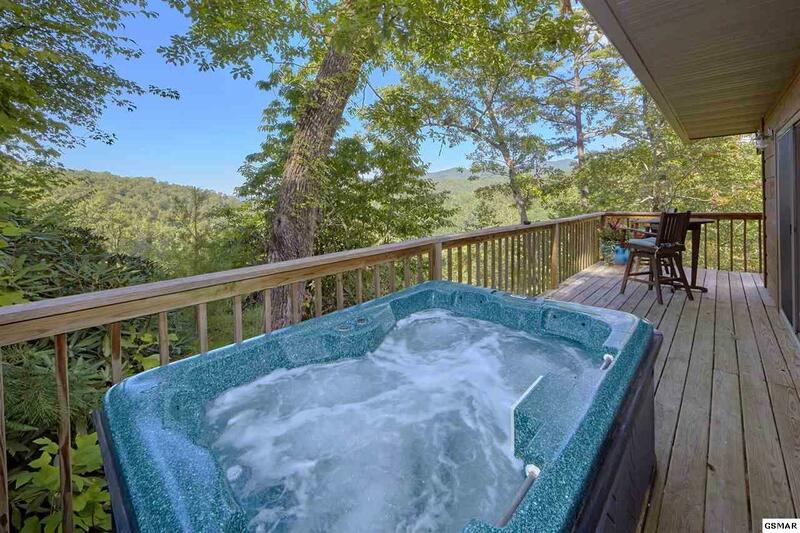 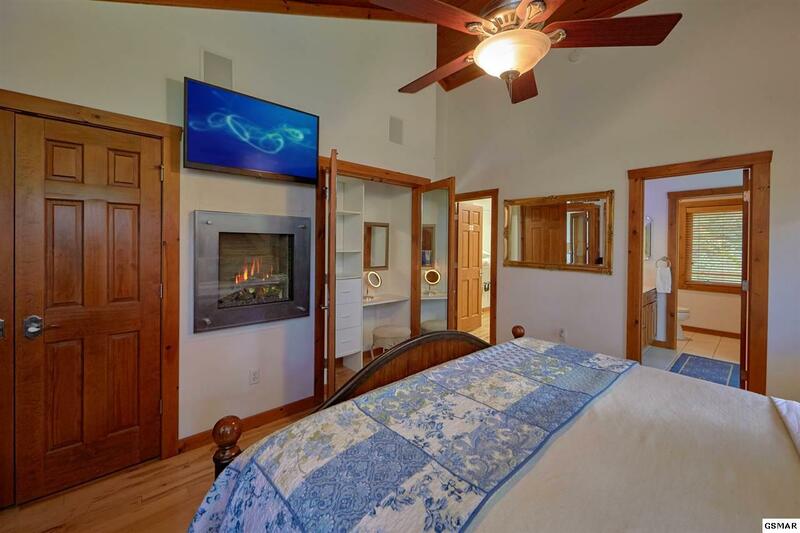 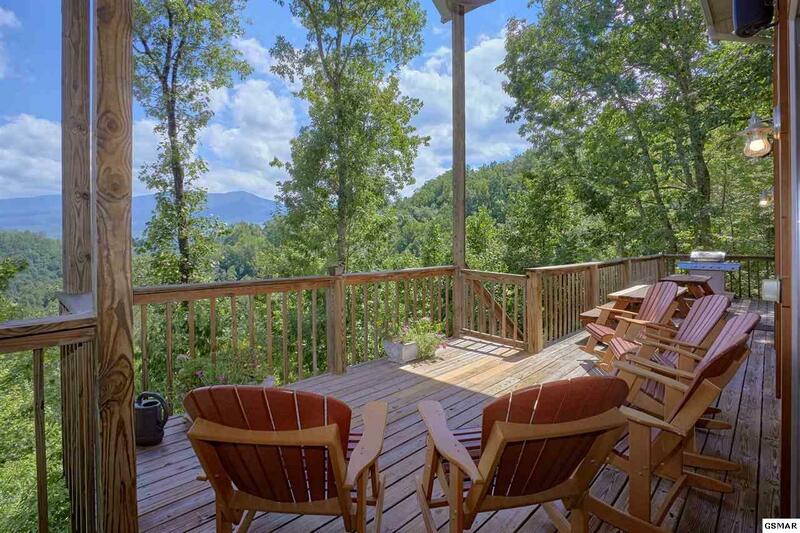 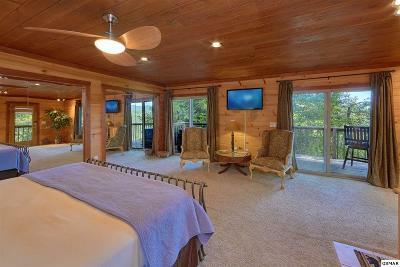 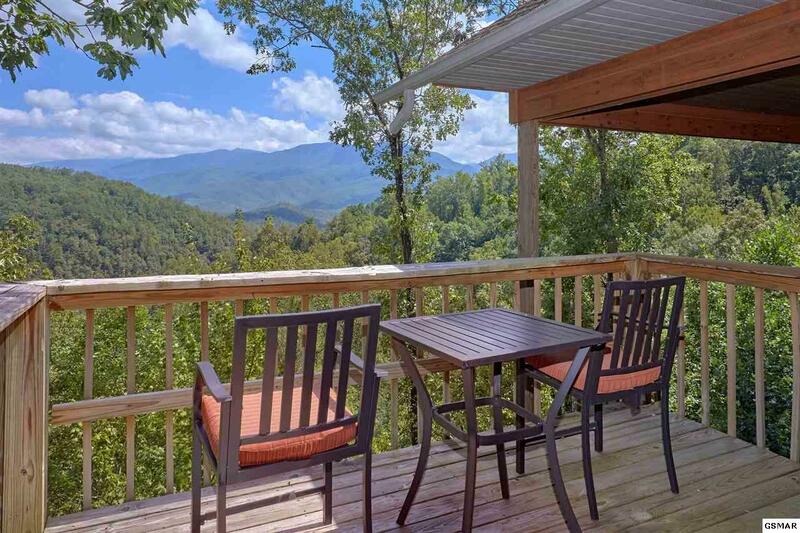 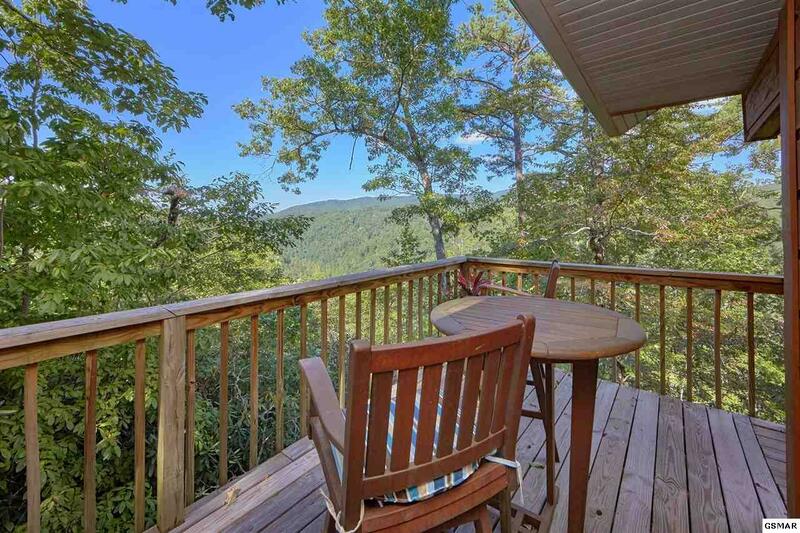 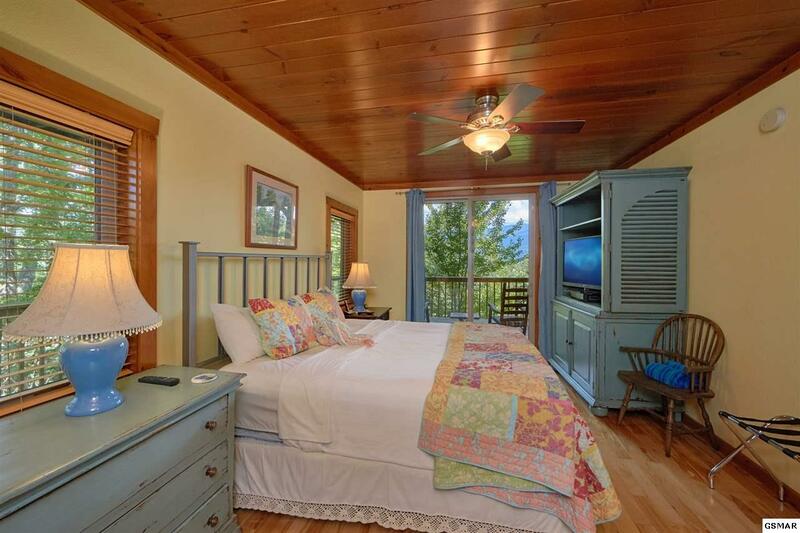 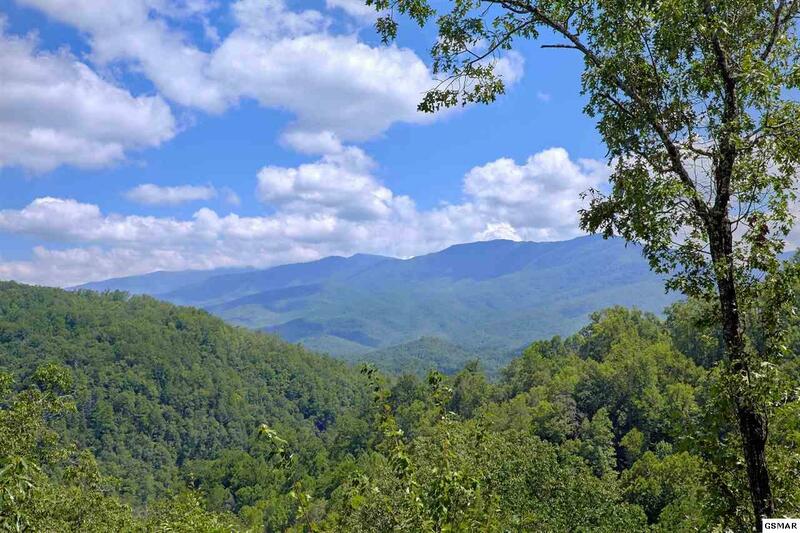 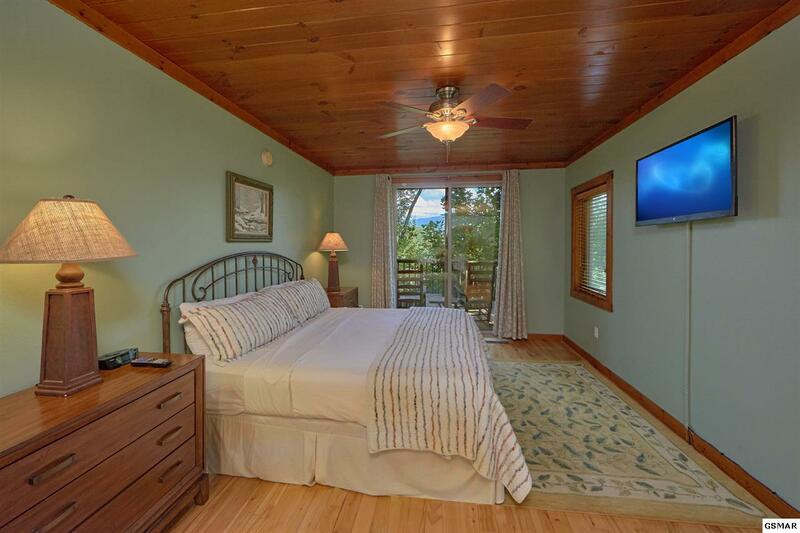 This home is totally private, gated and has spectacular views of Greenbrier Pinnacle, famous for enchanting moonrises, along with sweeping views of the Pigeon River corridor. 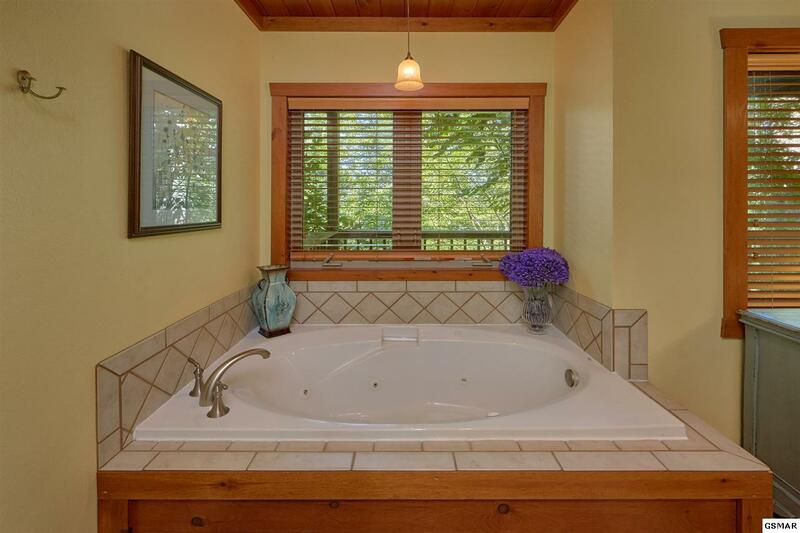 It has been used as a private residence and now serves as an excellent income producing vacation rental ideal for weddings and family reunions. The parking, big open spaces, separate "honeymoon suite" and the ability to convert the garage to a banquet facility make it a perfect wedding venue.